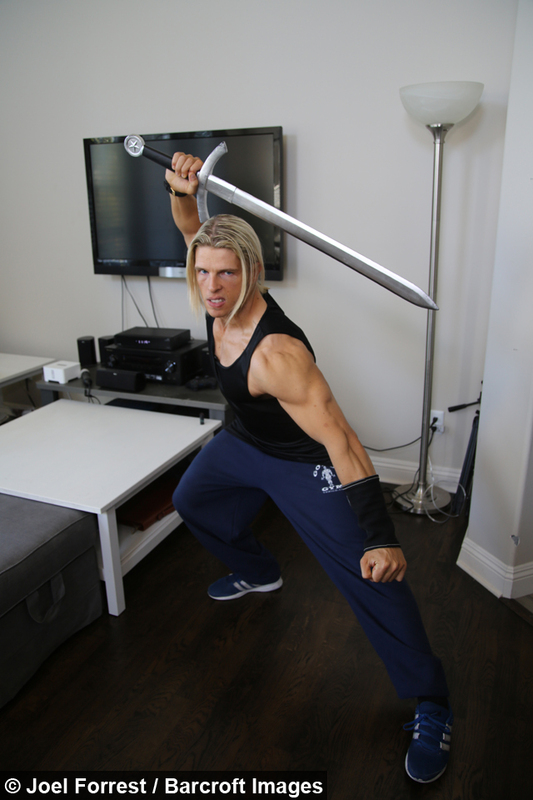 Julian Louw, a stunt actor and professional dancer, was first introduced to the popular Japanese anime series when he was teenager and admits that he fell in love with the character of Trunks, connecting to him on a personal level. 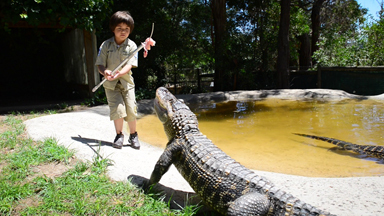 Julian, 30, said: “Dragon Ball Z is one of the most intense, in depth, anime cartoons I’ve ever watched. “The level of intensity, the power, the human emotion, the characters, the love, the friendship, the fights, the future travel, the technology - everything about it really, about a society and a place I would like to live in." 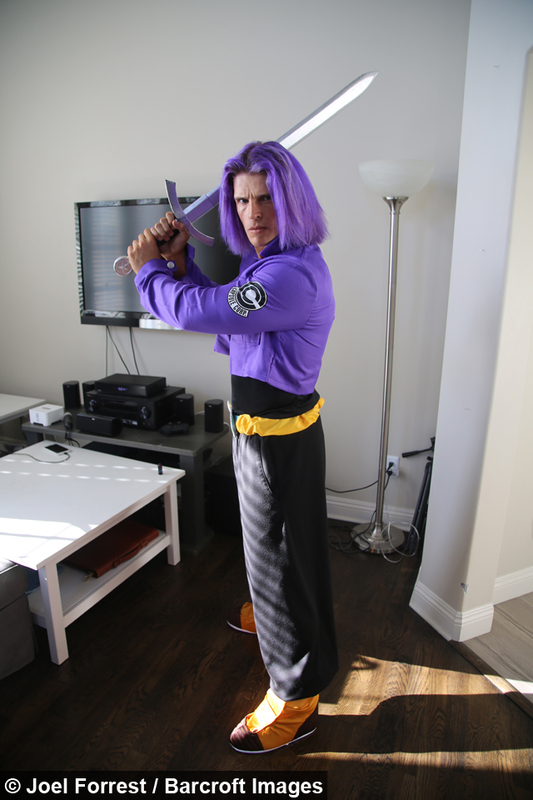 Trunks is a fictional character in the Dragon Ball Z manga series created by Akira Toriyama. 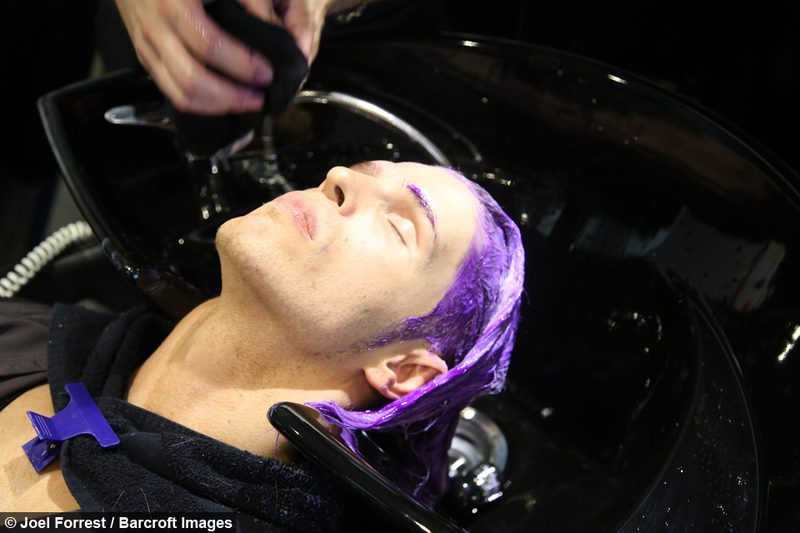 The character is known to be half-Saiyan and half-human and sports long lavender-coloured hair. 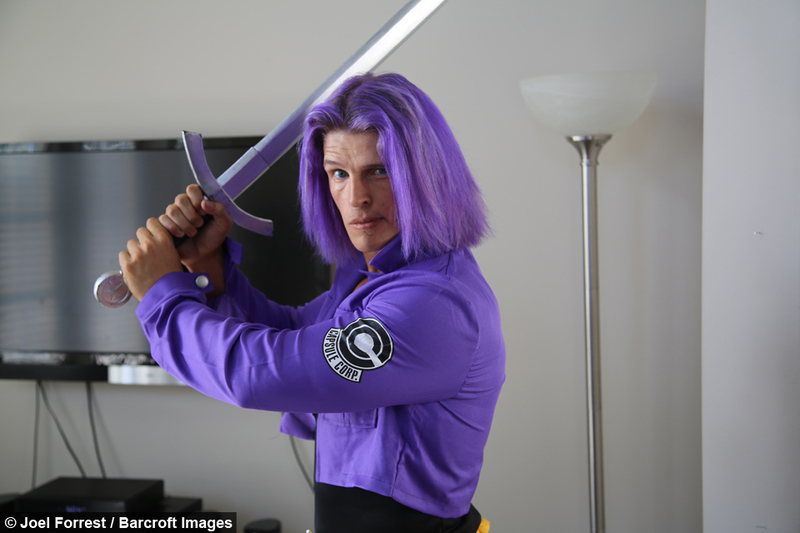 Louw made the decision to embark on a ‘character development project’ three years ago to become the real-life Trunks after strangers told him that he resembled the fictional character, but to become a living version would be impossible. “I kept hearing people say that the look of the Dragon Ball Z character was almost impossible to create and I thought I was going to make something impossible become possible,” he said. 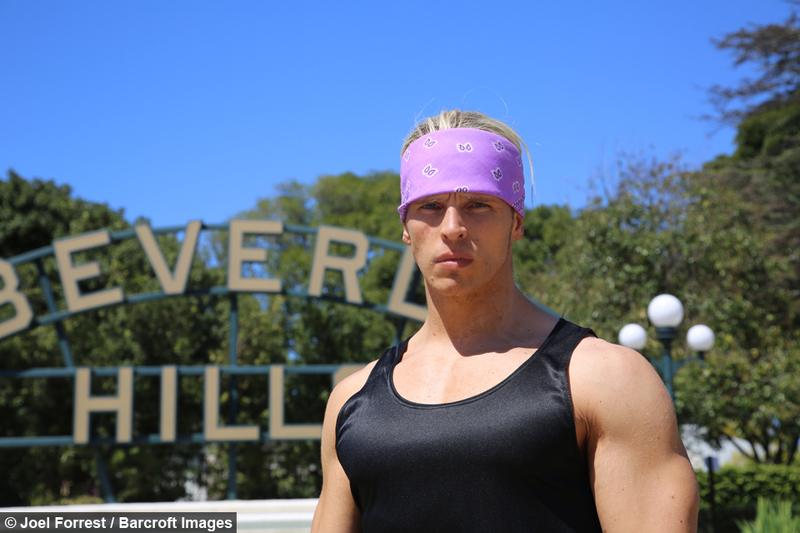 Having recently moved to Los Angeles, the home of cosmetic enhancement, Julian has ruled out the possibility of going under the knife to look like his idol, although he admits that he spends over $5,000 a year on his character development project and trains 3-4 times every day. 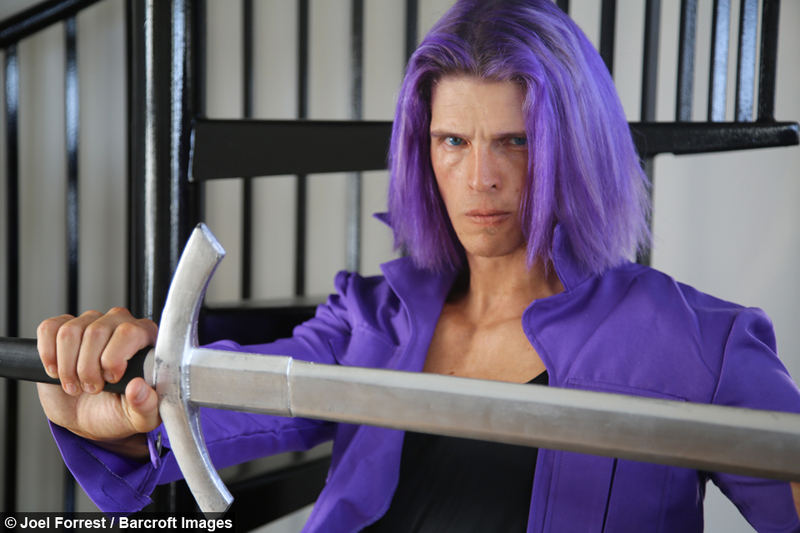 Julian said: “When I started my character development project into Trunks, I outlined the very deep details of what he looks like, and how I was going to bring him to life through me. Julian’s determination to become the real-life Trunks continued with a diet and fitness regime, helping him to sculpt his body to look like the anime character’s. But it took over a year and a half of dedicated training to see changes. He explained: “He’s got a much fuller, rounder, grown muscles, very much like your martial arts type, combined with a body builder. “Then the biggest one of all, was Trunks has got a very dominant upper chest, the clavicular head of his chest is very rounded and very full. That’s an area I paid specific attention to. 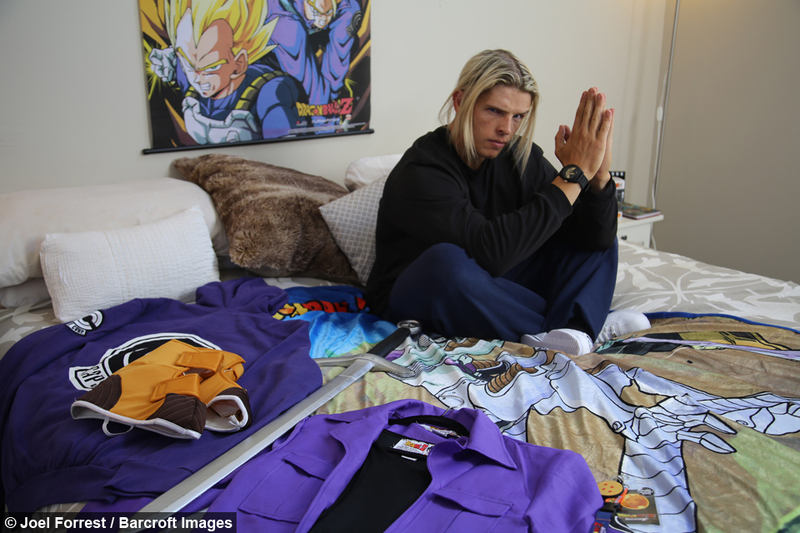 Not just stopping at diet and fitness, Julian has also spent time analysing the fictional character’s facial expressions and body movements, as well as having his long blonde hair dyed purple to match his idol. 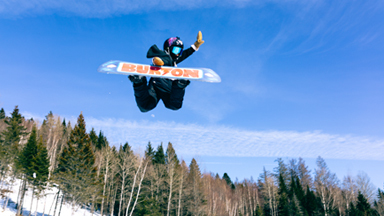 Julian’s love for the popular manga series grew during his school days, where he admits that he was seen as an ‘outcast’ and he saw the cartoon as an escape. He said: “I was very much a day dreamer at school. I really liked the outside fantasy world. I got made fun of a lot, I was short, insignificant, I guess you could say I was somewhat of a weakling, I kept very much to myself. "I kept my mysterious attitude which I sometimes have still in today’s life, but I was very much the outcast. Julian insists that he is not just a cosplayer but his character development project is something much deeper. 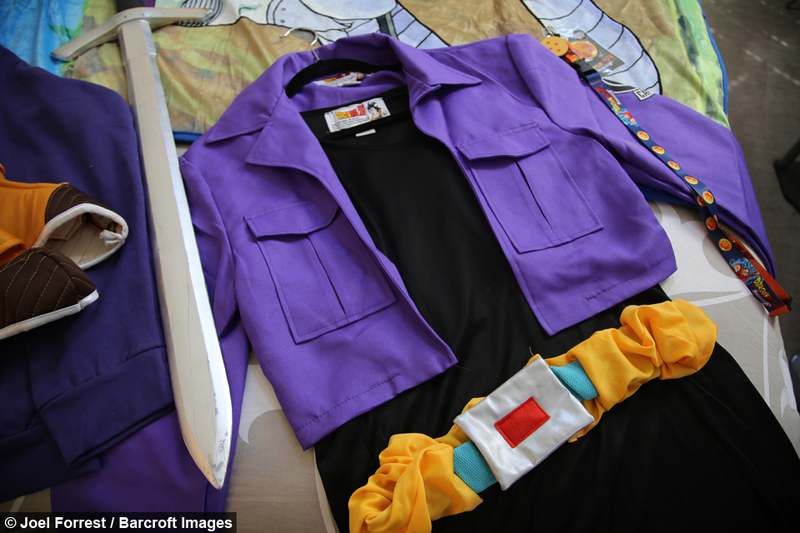 He said: “I would to say the difference between cosplay and character development is that the cosplay is much more like a hobby or something, but a character development project is that I have looked into a specific character that I connect with. “He makes me feel like a life accomplishment. I feel like he’s the epitome of what I wanted to look like from when I was very young, in terms of his dress sense, his hairstyle, his look, the way he is standing and his attitude.